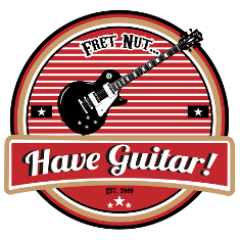 November 2017 - Fret nut... Have Guitar! So, this is more a video on how the song came to be than a lesson but still worth watching according to me! The album “Echoes, Silence, Patience and Grace” is already a modern classic album and Dave’s ability to arrange great songs is inspiring to say the least. So is the fact that he went from being the drummer of one of largest bands in the 90’s to being the guitarist and lead vocalist in one of the greatest contemporary bands around… if that’s not amazing I don’t know what is! Have Guitar is in the weekend party mode and presents the pros and cons of the Kemper Profiling Amp. Not sure if you gonna but one? Well, take a look at this video and it might give you some advide on the way. Hope you’ll like the video and if so pleasee support Have Guitar by subscribing to the channel, it helps a lot! A big thanks to all new and old subscribers out there! Have Guitar is happy to give you a pre-view of a coming pack of Kemper profiles from ReampZone – Marshall JMP Super Lead 1976! Also known as a “Plexi” this is a really classic Marshall amplifier, played by guitar legends like Jimi Hendrix, Ace Frehley and Eddie Van Halen, just to mention a few. Please note this IS a pre-view of the coming pack from ReampZone, some of the profiles showcased here might or might not be included in the final release but I am pretty sure the pack will contain both Direct as well as Studio profiles. Hope you like both the profile pack and the video – if you do, please do subscribe to support Have Guitar! Thanks for watching my videos and a Big Thanks to all the subscribers – you rock! You can download a liveset from Vguitarforums to access all the sneaky amps except the “CUSTOM amp”. Just import this liveset and use/tweak the included tone settings based on those amps to your liking, then you can save it to your Katanas preset slots or your own liveset. This liveset includes all the sneaky amps and separate BRIGHT settings – a total of 30 variations. Another option is Gumtowns Katana FxFloorBoard editor that gives direct access to 29 amps. It also has a bunch of other nice features – follow the link to read all about it. There’s been some compability problems with the new Katana firmware updates but it works as it is for both Mac and Windows. It has been too long since Have Guitar did the first Rig Exchange Recommendations-video, so I’m pretty proud to present a new Rig Ex… ahw, man. I should really come up with a shorter name for this feature. Just look at the thumbnail – the text clutters up the whole pic! Well, anyways, here’s a look at some of FastRedPonyCar’s Kemper profiles. So, if you like the sounds just go to Kemper Rig Exchange and try out these great profiles … for free! Because you can never have too many profiles. Hey… if you know any good & free profiles from the Rig exchange or any other free source please do let me know. You can send a message on Youtube or Facebook or you can use the email found further down in the description. Recorded with a Sony FDR-AX100 and edited in Magix Movie Studio Platinum 14. Recordings in Reaper. Have Guitar presents a video reply to the question, how to add effects to slots in the Performance mode in the kemper profiling Amp. Everything is easy when you know it and I’m just happy to help out. So this is a short video on how to add any effect to a slot in the performance mode. Hope you liked the video! If so please support Have Guitars effort to bring fun guitar-related videos to quaff boredom by subscribing to the channel. A big thanks as always to all of you already subscribing, much appriciated! Lo and behold – Gumtowns FxFloorBoard for the Boss Katana! There’s a good chance you will already know about this alternative software editor but I’m thinking there are probably some people out who hasn’t. This video is for those poor uneducated souls. This video is actually also like a first impression for me, shot it as I installed the editor and tested it for the first time. So please, don’t expect too much of it – it’s basically me looking around and showing off the capabilities of the FxFloorBoard. There’s been a high level of Katana activity on Have Guitar! this week – next Thursday it’s time for a new Kemper video. That’s it! I hope you like the video and if so please do subscribe to Have Guitar. Bigger channel = bigger chance for more types of videos… and you will have my eternal gratitude with you whereever you go. To all of you already subscribing – Thanks, you rock! Without further ado – Have Guitar gives you 20 sound demos from the Boss Katana (100 watts, 1×12″ speaker). I’ve done/used twenty different sound settings and even included the acoustic channel. I’ve tried to pick as many different types of sound as possible to give you a good picture of what the Katana is capable of. All sound demos are recorded through the Katana to Focusrite 6i6 to Reaper.